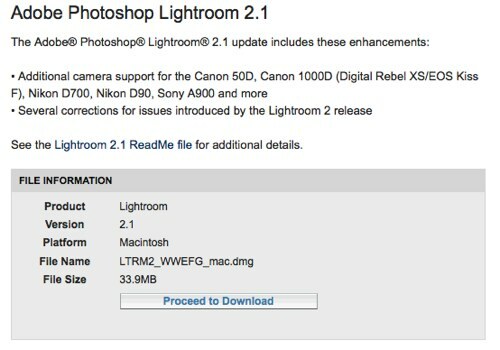 Ever since I’d bought my new Nikon D90 (read my on-going D90 review) in early October 2008, I’ve wanted to be able to process RAW / NEF files from the D90 in Adobe Photoshop Lightroom 2 in addition to Nikon Capture NX 2. Read this blog post for a list of other cameras now supported in LR 2.1. As I write this, the Mac platform still doesn’t support the D90, meaning that you can’t import D90 RAW files into iPhoto, and thumbnails aren’t generated for those same RAW files in the Finder.